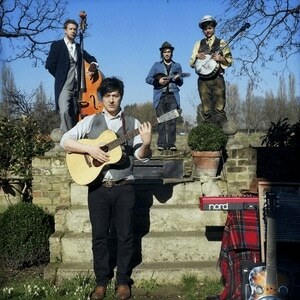 Mumford & Sons are a Folk / Bluegrass group formed in London in September of 2007. Having received critical acclaim from the Guardian on their “Band of the Day” online forum and resounding praise from nearly everyone who has witnessed them supporting Laura Marling, Mumford & Sons continue to turn heads in London’s growing folk scene. Their debut EP, ‘Lend me your Eyes’ features 4 stunning tracks written in the short space of 3 months.